How to buy eco-friendly appliances? With the Northern Hemisphere facing the severest winters this year, people are busy exploring high efficiency heating equipment and measures which, aside from being economical and emission-free, could help them weather the chilly ambiance with confidence. 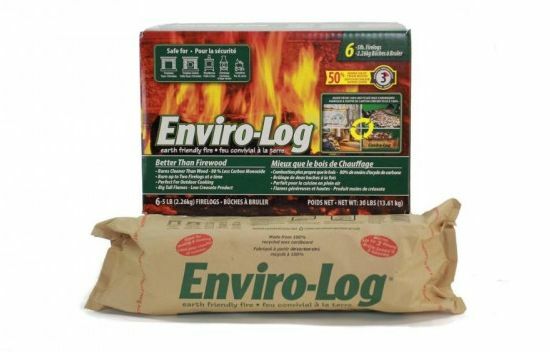 Now, with their aim to suggest a sensible heating solution, folks at Enviro-Log offer 100 percent recycled, waxed cardboard fire logs. The Enviro-Log fire starter logs stand in stark contrast with raw wood alternatives available on the market. Enviro-Log fire logs don’t contain petroleum-based paraffin as a fuel, rather these rely on food-grade wax to ignite instantly. The fire logs burn with 30 percent less greenhouse gases, 80 percent less carbon dioxide, 86 percent less creosote. Moreover, the fire logs provide 50 percent more heat per pound while generating less waste. Ash, which comes as a byproduct could be resused as potting soil or fertilizer.